Why Should You Choose 50Floor? Because we put your needs and budget first. 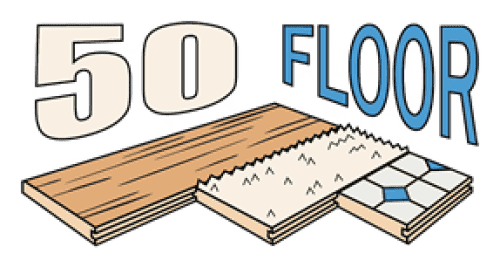 50 Floor specializes in making things simple and easy when it comes to getting new floors for your home. We bring all the samples to your home, so you can look at them in your lighting with your furniture. Then, on the day of installation we move all your furniture, take up and haul away all the old flooring, install your new flooring and clean up before we go. In most cases we finish installs in one day. 60% of all hardwood, carpet, laminate, vinyl and tile.